Source Code For Apps – What Is It And Why Do I Need It? Simply put, you need to buy source code for apps if you want to get into the reskinning apps process. So this page should service as an introduction to what its all about. Source code basically means the “gobblie gook” the programmer has used to make an app. Think of it like a new language. The programmer knows this language and “writes” his or her app in that language. Now this source code contains all the instructions that the app needs to know to do it’s thing. 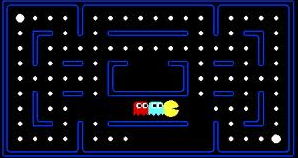 If the app was a pacman game, then the source code tells pacman the rules of the game, where he can and can’t move, as well as blinky and the gang’s instructions. You see, despite them being called “smart” devices, mobile devices and tablets are actually quite dumb. These devices do not have the power to think, they just do “what they are told”. And the source code “tells them” what to do. The programmer has to map out each and every thing they want the app to do. In the case of pacman, how to move, what happens if they hit a wall, what happens if blinky hits pacman, what happens if blinky hits another gang member, what happens when pacman goes over a cherry, and so on. The programmer, in excruciating detail has to tell the device what to do. The reason why apps don’t work properly sometimes (AKA crash) is a computer “bug”. A computer “bug” was originally called a “bug” because back in the wild wild west days of computer a moth got caught in the tubes of the computer, and caused a short out. It was labeled a “bug” by the boffins of the day. The description of an error in a program has persisted ever since. Anyway, “bugs” are usually caused by the programmer not telling the computer what to do in a certain situation. Occasionally its caused by conflicts with other software, and sometimes a hardware failure. Maybe you just dropped your iPhone and your game is not working. Thats a different bug altogether. Getting off track here, so lets bring that back to the source code. Now you don’t need the source code to play the game. What happens is the programmer uses a special program to “convert” the source code to work on your smart device. From that point on you can play the game or do whatever has been “programmed” into the app. On an Apple device, this program is called Xcode, and its a free program Apple make available to it’s developers. Think of it like a translator. It takes the “source code” the programmer has typed up and converts into “code” that the computer understands. Which is basically a series of zero’s and ones. The reason we have this intermediatery step is while 1’s and 0’s make sense to computers, we humans find it hard to deal with. Put it this way, source code dramatically speeds up the process of getting apps developed, so it’s good for all parties concerned. So Xcode (or the equivalent on other non-Apple devices) “converts” this source code into the “executable” file. Once this file is transferred to your smart phone, you are good to go and can run the app and go wipe out blinky and his gang members. Pretty complicated right? Well it does take a measure of skill and experience to be a good programmer (more on that later). But what if you want to make changes to the game, or if you wish to change the graphics and sound, etc? Well you need access to that source code again. Just having the executable on your device is not enough to be able to reskin it. Hence the need for source code. So the programmer makes the changes to the “source code” and then creates an executable file which ultimately ends up on your device. Assuming you are planning to reskin an app you need source code. You can develop them yourself if you are a developer. Or you can buy the source code, or rather license it – more on that in a future post. I even have some source code available, I’ll post about that at a later time!